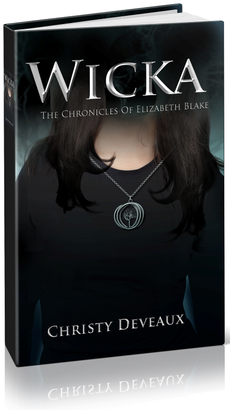 Find a wicked good YA fantasy in Wicka: The Chronicles of Elizabeth Blake, by Canadian author Christy Deveaux. Yo'll meet Elizabeth, a high school senior, who finds romance AND discovers her witchy lineage while studying abroad. Plus, all you Anglophiles and Shutterbugs can enter for a chance to win a British-themed Gift Basket worth $50 by sharing a photo of yourself in a British-themed setting by 3 August. Read on to learn more about Christy and her Wicka Chronicles. Be sure to enter the giveaway hosted by BeachBound Books by 3 August. Good luck! To celebrate her recent trip to England, to get ideas for her next book, Christy Deveaux is holding an British inspired contest! Simply share a picture of yourself with a British theme i.e. In England, in an English pub, eating English fare such as a fish and chips, reading a British novel, etc. - be creative! Christy Deveaux is the author of The Chronicles of Elizabeth Blake series. Her highly anticipated first book in the series, Wicka, was released in spring 2014. Inspired by traveling across Europe solo at a very young age, and many travel adventures since, the character and story line behind Elizabeth Blake was born. Christy majored in political science and earned a cross-disciplinary degree from the University of Western Ontario. She lives in Toronto, Ontario with her husband, three children and a fish named Cow. *Note: purchase of the book is not a requirement to enter this free contest. 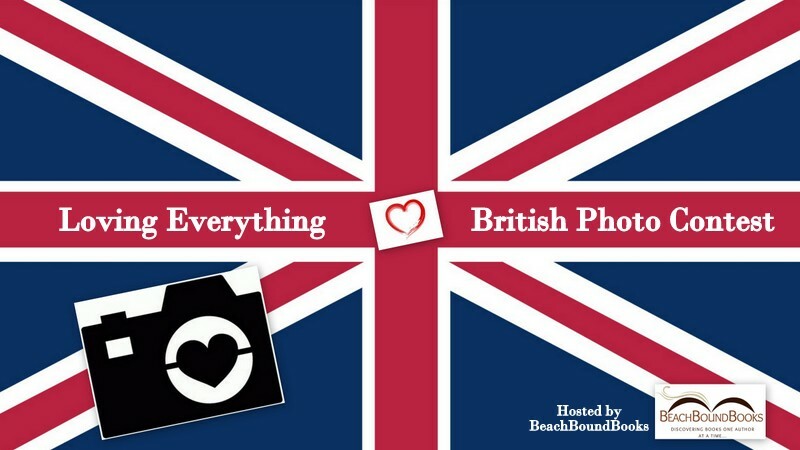 How to enter: Entrants should submit their British themed photos by completing the form below. Terms and Conditions: NO PURCHASE NECESSARY TO ENTER OR WIN. VOID WHERE PROHIBITED BY LAW. Only pictures submitted between July 20 and August 3, 2016 will be eligible to win. A winner will be randomly drawn through the Random.org and will be contacted by email within 48 hours after the giveaway ends. The winner will then have 72 hours to respond. If the winner does not respond within 72 hours, a new draw will take place for a new winner. Odds of winning will vary depending on the number of eligible entries received. This contest is in no way sponsored, endorsed or administered by, or associated with Facebook. This giveaway is sponsored by the author, Christy Deveaux and is hosted and managed by Stacie from BeachBoundBooks. If you have any additional questions feel free to send an email to stacie@BeachBoundBooks.com. Thanks for visiting! Don’t miss a post. Join the fun and join my tribe! I’m over the moon the first draft of Book 3 (title TBD) of my Sweet T Tales is finished. While my beta readers and critique group are looking it over and before re-writes kick in, I want to curl up in a ball and turn off my mind. But I'm taking time to reflect, so I can notch up my writing process. My biggest ah-ha was understanding my preference for a PLOT-ting or PANTS-ing approach to writing. Read on to learn more about these two styles, and then take a 10-second survey to see if we have more PLOT-ters or PANTS-ers in this community. My revelation about my writing preference came from an unexpected source – an author event sponsored by my local Indie Bookstore, Quail Ridge Books. I don’t personally know former-Raleigh based author Mary Kay Andrews, but I feel as if I do. I first saw Mary Kay at our local library’s author talks decades earlier, before she hit the New York Times best-seller list. Plus, her kids attended the same high school as my neighbor’s, so it’s a six-degrees-of-separation kind of acquaintance. I adore Mary Kay’s sassy, smart, independent Southern heroines. Her wit that shines on the page crackles as she talks to the 300 or so readers gathered to hear her. ​"I worked as hard as I could. I wrote as hard as I could. And I finished the damn book," she tells us of her 24th novel, The Weekenders. Boy, I can relate after just finishing my first draft manuscript. I worked as hard as I could. I wrote as hard as I could. ​And I finished the damn book. Then she shares her writing habits. And this is where my ears laser-tune as she describes two approaches to tackle writing: PLOT-ting and PANTS-ings. Plotters surround themselves with sticky notes and whiteboards. They write out story points with detailed outlines and know exactly where their book is headed by scripting scenes and dialogues before starting to write. ​I know where I want to go overall, but it’s like driving in the dark with low beams and seeing an occasional armadillo. 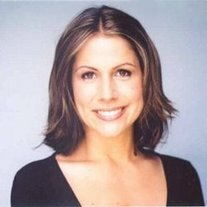 It’s not that Mary Kay doesn’t think about what could happen to her characters. It’s more like letting characters take root in her imagination and letting them speak to her as the story emerges. I’m getting the concept now! It’s the writerly equivalent of being identified as a Judger (J) or Perceiver (P) as identified in the Myers Brigs Type Inventory: Js seek closure, direction and action. Ps always want more information before making a decision and are open-ended in coming to conclusions. Hmm. When I write, I’m a bit of a Plotter because I am self-disciplined and stick to a schedule. However, when I try writing details and fleshing chapters before I start my tale, I get headaches. Creating an outline? Double–headache. I used to feel guilty for not coming up with an outline. Like I was failing an author test. ​Keeping it 100, I have been known to jot a few ideas on stickies. But no whiteboard for me. I used to feel guilty about not doing more thinking ahead of time. Like I was failing an author test. No more. Now, I give my self permission to approach writing as a proud Pants-er. Like Mary Kay, I start with an idea that stirs me. Even if I suspect the ending, I often have no idea how I’ll get there. Maybe I’ll pull together a Mind Map of possible plot points, but not in a particular order. I might jot a brief character description or bio. Then I turn my characters lose to see where they take me. However, when it comes to book launch and marketing, watch out! I revert to strong plotting. My J need for closure majorly kicks in with carefully researched goals, strategies and implementation tactics. Spreadsheets, checklists and calendars take over my office. I am like a field marshall organizing troops for a dress parade at the White House. btw... Since I bounce between writerly approaches, does that make me a Plotty-Pants <winking here>? Each starts with an idea and ends with a finished tale. How you get there is a matter of personal preference. And I'm relieved to realize it's okay to be either. How do YOU get there as you write or accomplish life tasks? Do you PLOT in advance or fly by the seat of your PANTS? SURVEY: Join me in a fun 10-second survey below to see the make up of our community. Were you surprised by the results? Please weigh in at the comment section. Like what you see? Join my blog-reading fans. Would love to have you join my tribe of readers. Prepare to take a dare! Author Sarah Steele and Illustrator Daniel Manduka offer early and reluctant readers a monstrous-good way to laugh and learn letters with their picture book, The Monsterbet: The ABCs Do Not Scare Me! ​Steele creates an imaginative world of friendly fiends representing individual alphabet letters. She pens four-line rhymes per page to cement that letter into children’s memory with silly monster attributes. They'll also have a hard time selecting their favorite monster. Mine was S for the snake, A mischievous​ creature who loves to snack on science teachers (perhaps because I remember a science teacher back in the day that I wished would disappear?!). ​Manduka further brings Monsterbet to life with his drawings. Colors pop off the page as animals contort into letter-y shapes that help kids learn the ABCs. Art throughout the book is themed by text on each page that sits inside bright balloon-like circles. It's important to instill a love of reading at an early age, and adults can have fun reinforcing Monsterbet’s challenge of being unafraid of letters. Plus, they won’t tire of reading aloud this charming story as they help kids become confident and learn. I like the way the actual letter is also printed on each page, so children can see how it corresponds to the imaginary creature. A Monsterbet chart of all 26 letters presented together on a single page at the back of the book is an excellent visual summary. The Monsterbet is perfect for helping preschool and early readers learn letters. Moreover, its confident premise, The ABCs do not scare me!, will lift the spirits of reluctant readers. In fact, I can see an older child or reluctant reader sharing Monsterbet with a young friend or sibling and both coming away with a positive reading experience. Disclosure: I received a free digital copy of this book in exchange for an honest review.